IWF - Your Costume Offends Me. Call the Cops! Your Costume Offends Me. Call the Cops! The hoopla over Halloween costumes this year has gone from unbelievable to criminal over supposedly offensive costumes by threatening the use of campus police if a student wears a costume they deem inappropriate. Chapter presidents of Greek organizations at Tufts University in Medford, Mass., received a stern letter from the administration laying out how they could celebrate the fun weekend in a way that won’t offend anyone and ensure safe partying. Ensuring that students celebrate without getting hurt or abusing alcohol and are making clear decisions about sexual activity seem appropriate for a college to do. However, the emphasis in the letter was not on underage drinking, but on their Halloween costumes. This year we want the Greek Community to help prevent inappropriate, offensive and appropriative costumes. 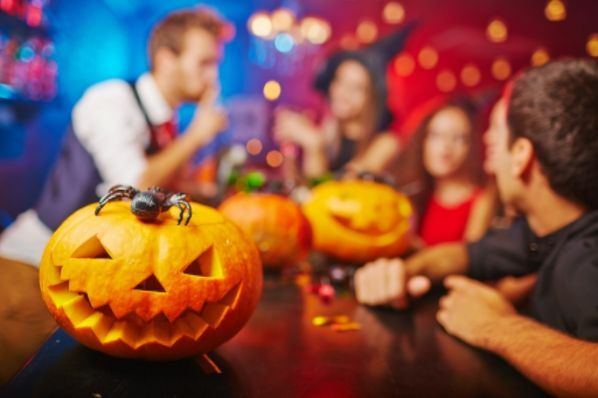 This comes down to both how we publicize and market our social events for Halloween weekend, as well as proactively preventing the alcohol transports and sexual assaults, which are more common during this time. We can accomplish this by being intentional when choosing party themes and party costumes, being a role model for responsible drinking, and asking people for consent if you want to engage in any sexual activity… Greek Brothers and Sisters have worn costumes that appropriate cultures and reproduce stereotypes on race, gender, sexuality, immigrant or socioeconomic status. Outfits relating to tragedy, controversy, or acts of violence are also inappropriate. We need to set a precedent that people’s customs cannot and will not be our costumes. Not only are the chapter presidents on the hook, but their members are, too. Tufts wants chapter leaders to read this email during weekly meetings. Mary Pat McMahon, the Dean of Student Affairs, described the consequences as follows: “The range of response for students whose actions make others in our community feel threatened or unsafe, or who direct conduct towards others that is offensive or discriminatory, includes OEO and/or TUPD investigation and then disciplinary sanctions from our office that could run a wide gamut depending on what is brought to our attention and the impact of these actions on others. Any complaints of a supposedly offensive costume can trigger an investigation by University officials and result in disciplinary sanctions. Since when should a student’s academic career hinge on whether they wore a reggae hat with fake dreadlocks or a Native American dress unless they are committing a legitimate crime in that outfit? Tufts is enlisting the help of the student body in identifying those offensive costumes by going to the school’s Incidence of Bias, Intolerance, Discrimination and/or Hate Report Form which can be submitted anonymously. Imagine the investigation that ensues? Someone (whose identity remains hidden) reports that you offended them with your costume. Who is to say that a vindictive student wouldn’t use this opportunity to target others for revenge? After all of that, a couple of paragraphs were tacked on about promoting consent for sexual activity and promoting moderation in consuming alcohol among partygoers of age. Common sense would say that these safety concerns are a more legitimate exercise of administrative authority than overseeing Halloween costumes. .
As an alumna of Tufts University, I am disappointed that alumni gifts, tuition checks from families, and federal funding may be used to pay administrators who have nothing more serious to do than to police Halloween costumes rather than more important priorities such as funding scholarships for students in need, lowering tuition at Tufts (which is among the highest in the nation), or funding medical research projects for which Tufts is a world leader. Tufts has a strong reputation for international affairs. Cultural exchange and interaction foster great appreciation for different cultures. The university doesn’t need to police costumes to halt stereotypes of groups of people, but can find voluntary ways to help the student body learn about their peers. Even more, freedom of speech extends to Halloween costumes, as the Supreme Court held.